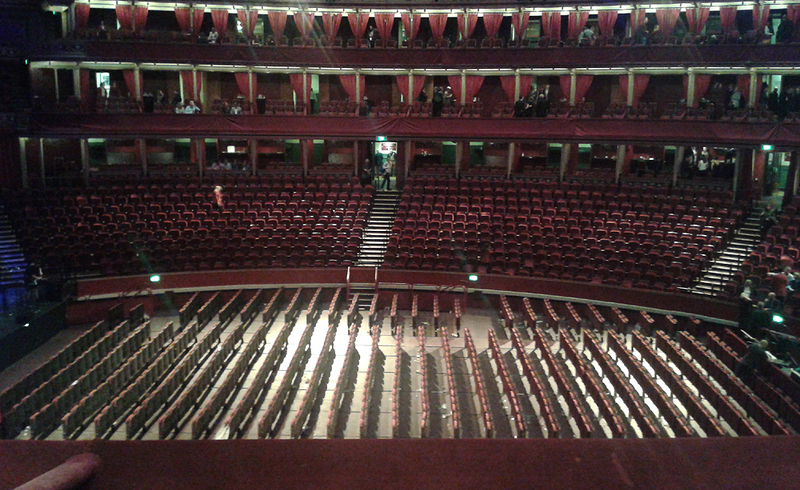 Since the beginning of this year, I have been patiently waiting for this night to come - Friday 14th October! Finally it came and I have to say, it was so worth the wait! 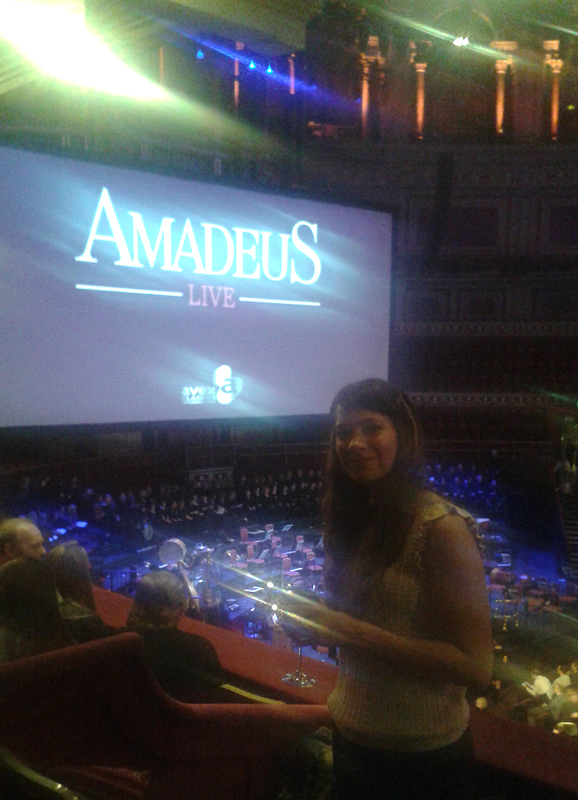 Amadeus Live at the Royal Albert Hall was brilliant! 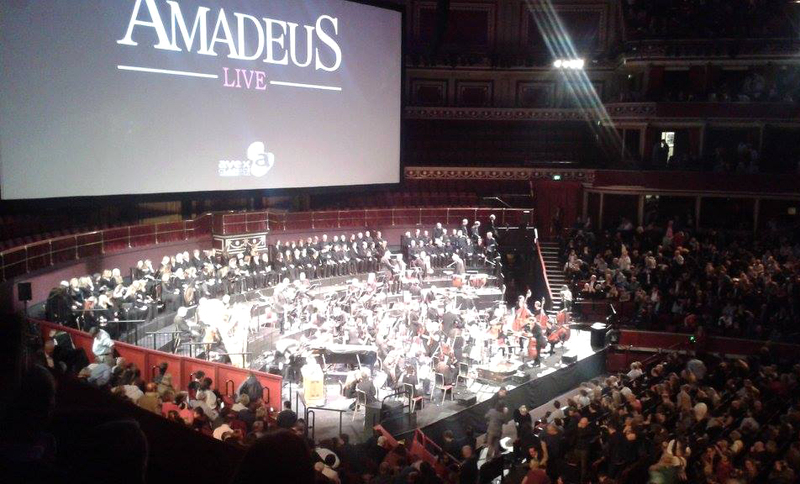 Winner of eight Academy Awards, four BAFTAs and four Golden Globes, Amadeus - the most acclaimed film ever made about classical music, was brought to vivid life at the Royal Albert Hall. This remarkable screening of the film featured live music performed by the Academy of St Martin in the Fields, who recorded the original film soundtrack, and the Philharmonia Chorus, conducted by Ludwig Wicki. Amadeus (1984), directed by Miloš Forman (One Flew Over the Cuckoo’s Nest) and written by Sir Peter Shaffer, tells the scintillating story of the rivalry between vindictive composer Antonio Salieri (F. Murray Abraham), and petulant genius Wolfgang Amadeus Mozart (Tom Hulce). The film was named one of the American Film Institute’s best 100 movies of the century, and remains one of the most beloved movies of all time. 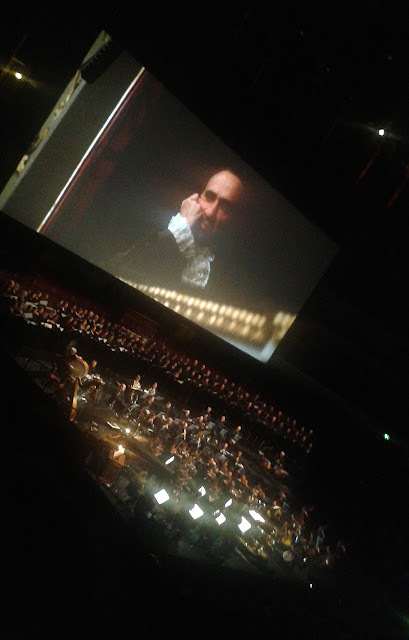 Mozart is an important composer to me. When I was at school, I was a little bit obsessed with him. He was the first great Rock Star! I remember being inspired by his playful childlike melodies and perhaps, this was an early influence on me. I never could have guessed that many years later I would be drawing on this influence to help me create the classical scores I compose for Music Audio Stories! When I think of all the hours I spent alone at school (I went to a boarding school) listening to his music, it was obviously time well spent. Isn't it funny how musicians can absorb music from so many different sources and reproduce it in a completely different way! If you can, check out some of the other films the Royal Albert Hall are putting on. 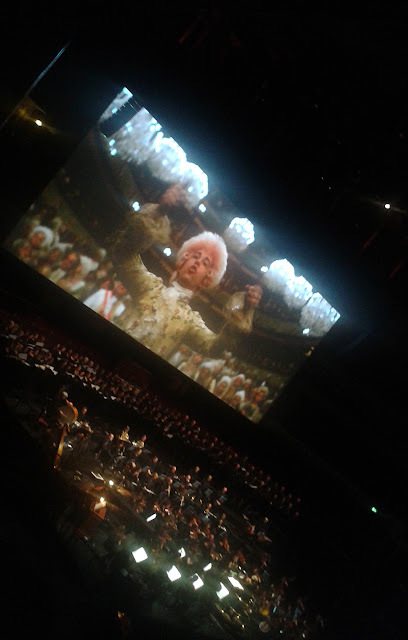 There's nothing more delightful than watching a great film with an amazing orchestra performing the music live! Featured in Fab UK Fashion Magazine!